During the summer, I had the great joy of shooting Marcela and Eric’s wedding at the Summit Arboretum NJ. They had a charming and intimate wedding surrounded only by those closest to them, and among the lucky guests was their puddle dog Mona, who walked down the Aisle as part of the bridal party. This morning, I received wonderful news that their wedding had been featured on Vow-Wow-Wow Wedding Blog. 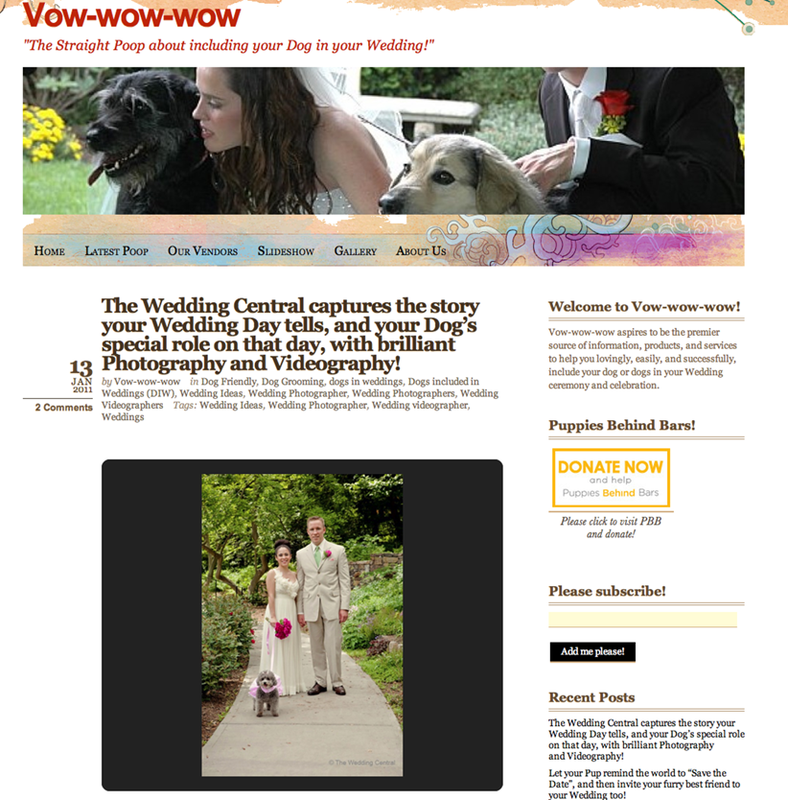 For those of you who are not familiar with this incredible site, Vow Wow Wow is a delightful wedding blog with lots information and resources to help brides and grooms include their dogs as part of their Wedding ceremony and celebration. I have seen very few people as committed as Marcela is to helping and protecting animals. She sincerely cares about them, and she is part of a group that helps place dogs with new mommies and daddies. I am sure, she will be thrilled to see her wedding featured in a blog that is committed to a cause so close to hers. I want to extend many thanks to Celia Milton, one of New Jersey most prominent Wedding Officiants and also founder of Vow-Wow-Wow for reaching out to us. Voted Best of the Knot Weddings and among the New Jersey’s Ten Wedding Photographers and Wedding Videographers. The Wedding Central is a wedding photography and wedding video studio owned by Award Winning Wedding Photographer and Wedding Videographer, Gaby and Danny. The studio is located in Northern New Jersey and serving Bergen County NJ, Northern NJ, Central NJ, Jersey Shore and New York City Metropolitan area.